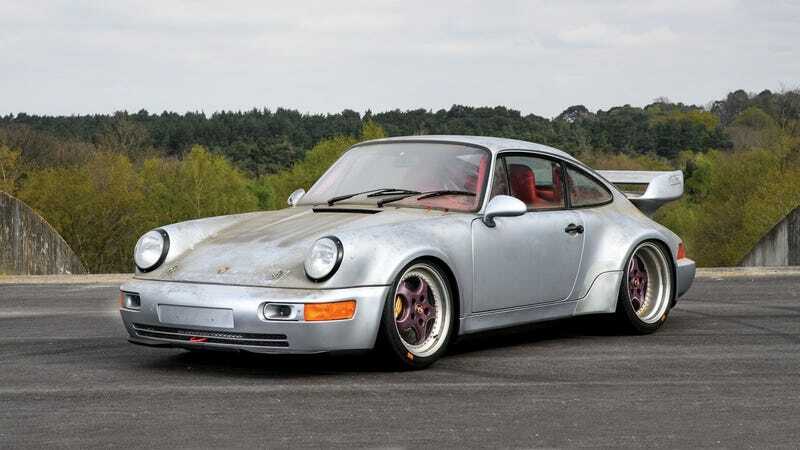 Just when you thought all the good air-cooled Porsches had been snatched up by collectors and aesthetically questionable resto-mod outfits, this ultra-rare 1993 RSR 3.8 with only six miles—SIX MILES—on the clock will soon be up for auction at RM Sotheby’s. The RSR was essentially a track day special similar to what a GT3 RS would be today. 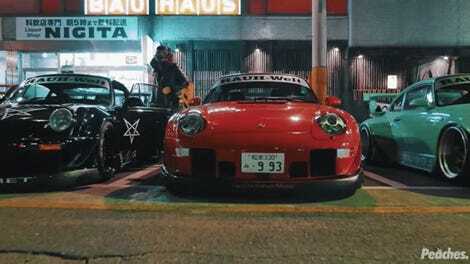 Even though its 964 body looked like a Turbo, under the massive whale tail was actually a naturally aspirated 3.8-liter motor underrated at 350 horsepower. The RSR 3.8 could hit 60 mph is 3.7 seconds, quicker than a Ferrari F40. In the early ’90s, you didn’t just roll into your local Porsche dealer and buy an RSR off the showroom floor. Nah. You had to be a serious customer with serious cash. Thus, only 51 RSR 3.8 models were ever made and each one was factory ordered. This particular 964 RSR was ordered with a fully furnished, and fully red, interior that sets it apart from the standard RSRs that were pretty spartan on the inside. The car was made, delivered, then stashed away by some private collector and never driven because according to the odometer the car has only traveled 10 kilometers (six miles). The car is still coated in with the factory-applied Cosmoline coating. RM Sotheby’s does not have any auction estimates for this RSR, but given the rarity and collectibility of air-cooled Porsches, you better have all the monies if you want this RSR in your driveway. The car will hit the auction block on May 27 at Villa Erba, Italy. Any takers?